September 2010 marks the 95th birthday of an American icon who has inspired, entertained, and taught us to love, laugh, and persist for several generations. No, I’m not chatting about Betty White—though that spry golden girl has been everywhere of late, spreading her message to live life to the fullest. Instead, I’m saluting “Raggedy Ann,” the cloth creation that was awarded its patent on Sept. 7, 1915. What’s interesting to me about Miss Ann is that her birthday, quickly coming up to 100, is happening during a time when her bold head of hair, dowdy pinafore, striped stockings and clunky shoes make her both a throwback clotheshorse and a very groovy chick. She could be the brainchild of a dollmaker plying her craft today on the Deviant Art board! Before the literary punk Lisbeth Salander caused a stir in “The Girl with the Dragon Tattoo” franchise, Raggedy already had a heart embroidered on her fabric chest. I don’t know about you, but to me, that equals a doll tattoo. Pretty cutting-edge for your great-grandma’s playmate. Sally and her paramour, Jack Skellington, are the “Lucy and Desi” of the steam-punk movement. 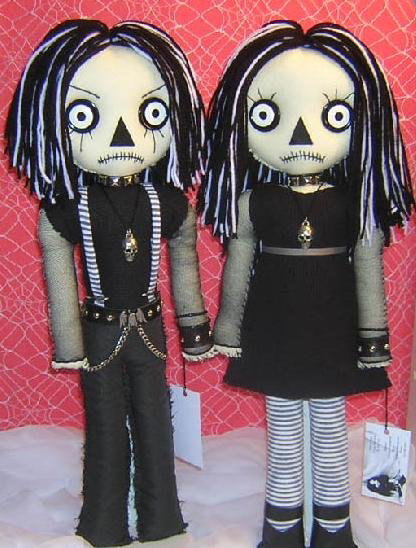 They are dapper and goth; makeshift in their appearance and mesmerizing in their allure.“Raggedy Ann and her companion/brother, Raggedy Andy, are likewise pretty sharp in their primary-colored togs and their eerily wide-eyed view of the world. The heartbroken Gruelle kept himself busy and distracted by perfecting the cloth doll and brushing up its accompanying stories. His family rallied around and persuaded him to continue his work on the patent for the Ann doll, which he did. The rest is history. For goth guys and gals, you can’t get any more street cred than that pedigree. Who knew that Raggedy Ann began her days as a nighttime placebo for a tween who had trouble sleeping, and that she was then patented and manufactured to help a stricken father keep alive his ties to his deceased daughter? It’s pretty powerful stuff, and adds a heart-wrenching, otherworldly motif to “Marcella: A Raggedy Ann Story” and subsequent titles. Ann was on her own as a plaything for five years. Andy didn’t come along until 1920, so the cloth girl character had adventures and magical experiences for five years by herself. Talk about being solo in the spotlight! Long before Dora ever started exploring, Raggedy Ann was fearless in her comings and goings. Excuse me!!! Doesn’t that sound like the plot of “Toy Story”? Our Ann is the forerunner of feminist Dora, goth chic Sally, and Pixar’s Woody, Buzz and Jessie. Miss Ann deserves a round of applause for all that. To honor the stitched one’s milestone, several companies are releasing anniversary editions, including Madame Alexander and Russ Berrie/Applause. If you used to think—like I once did—that this is a doll that has outlived her time, think again. Raggedy Ann shouldn’t have to change a hair on her yarn-wigged head. The backstory that surrounds her inception, the primitive and abstract expression that defines her face, and the instantly recognizable costume (which a certain Dorothy from Kansas and a Wicked Witch of the East owe a debt to) make her place in the Toy Hall of Fame deserved and enduring. Happy Birthday, Raggedy Ann! You’ve taught me that people who look at your simple, plain visage and can’t see beyond that are guilty of judging at face-value. Madame Alexander, a legendary toy name, salutes the lore of “Raggedy Ann.” A 95th Anniversary Wooden Doll (top) is shipping this month to tie in with the birthday of Raggedy, which is the date that her hand-drawn illustration received a patent. Just in time for this milestone, Russ Berrie/Applause are releasing this 95th-anniversary tribute doll (second from top). 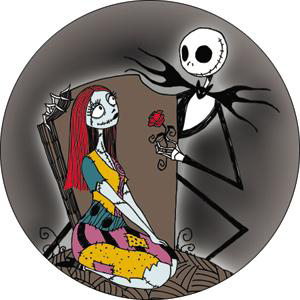 Steam-punk fanciers and goth devotees both love the artwork of Tim Burton’s “Nightmare Before Christmas.” Sally’s (circle image) stitched face, long red hair and wide eyes are reminiscent of birthday girl Ann. Forget about the “Girl with the Dragon Tattoo”! 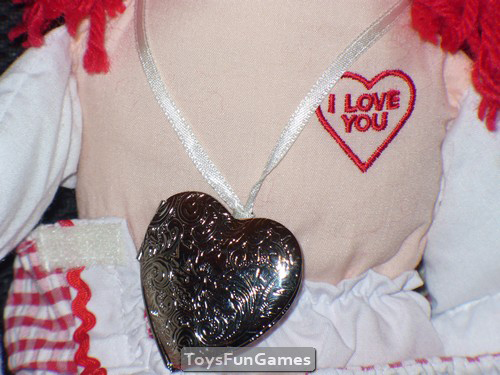 “Raggedy Ann” is the grrrrl with the embroidered heart (second to bottom). What a trend-setter. Created by Zosomoto artist, Jodi Cain, this eerie spin on Raggedy Ann and Raggedy Andy (bottom) are haunting and hysterical. The artist says there are loads of happy dolls out there, she’s trying to even the score. PreviousWeb Only Paper Doll Outfits! 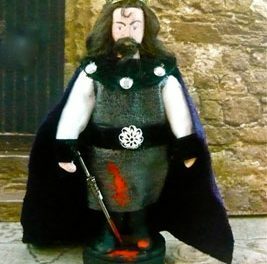 NextPuppet Power: Raise your hand—preferably with a puppet on it—if these charmers have carved out a place in your life! 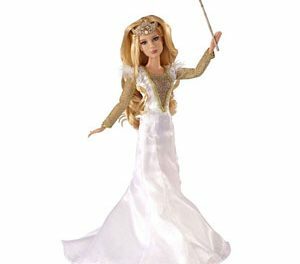 Bard Beauties: The play is indeed the thing for these Shakespearean-inspired dolls.